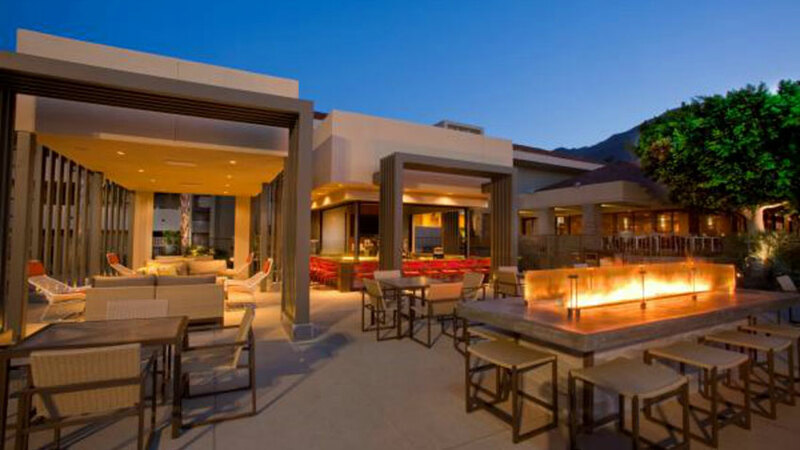 Located in the heart of Palm Springs just minutes from the airport, the Hilton is walking distance to downtown restaurants, shops, galleries, The Spa Casino, the Palm Springs Art Museum, Convention Center and the Regal Theater. 260 spacious guest rooms and suites with a patio or balcony. Beautifully landscaped grounds surround a large pool, two hot tubs and poolside bar/grill. Order room service or enjoy a meal in the Terrace Restaurant with patio dining. Visit the 24-hour fitness center and the Elements Spa for relaxing facials, massages and other treatments. Complimentary high speed wireless internet.